Welcome to my series for the Write 31 Days challenge for October 2018. This is my fourth year of attempting to participate. 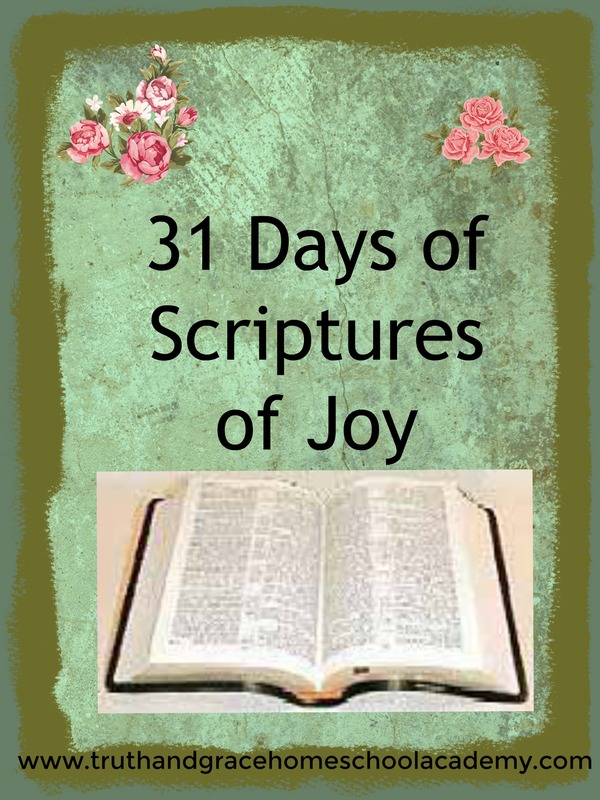 I plan on writing about Scriptures of Faith, Hope, Joy and Love. You can come to this page each day to find my post for the day. Along with the scriptures, I will be highlighting the title of some of my favorite books. 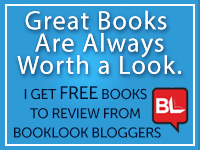 Do not expect these to be actual book reviews, but rather indicating titles of books I think are worth reading. This is day 1 and I am going to begin with a verse from 1 Thessalonians 5:8. So what is one of your favoriteScriptures? I would love to hear from you. If you would like to follow along with this series, click here for the main page. A little late, but here is my Scripture of Joy for October 3, 2016. So today is the first day of a new month. 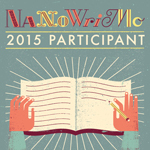 NaNoWriMo begins today, and I am participating for the second time. I am looking to all the excitement, adventure, and amazement of trying to write a novel in a month. This year I decided to go a different route. Last year for my first novel I wrote about homeschooling, but this year I decided to write about my life as a wife and mother and all that goes along with it. 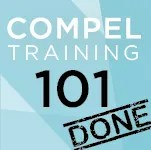 I plan on chronicling my journey including the good and the bad here on my blog. I am also participating in NaBloPoMo for November 2015. So for my first Scripture for the month, here is a Scripture graphic. According the comments in my Life Application Study Bible because God is the Creator of all, He is the only one worthy of being worshiped and adored. What attitude do you try to have towards worship? Do you try to come cheerfully into God’s presence. We need to avoid just going through the motions without feeling anything. This Psalm encourages us to remember God’s goodness and dependability. We need to worship with Thanksgiving and praise in our hearts. Rejoice in the Lord and be glad in the day that the Lord made for us. If you would like me to pray for you let me know. God Bless! So today is day 9 of my Scriptures of Faith challenge. 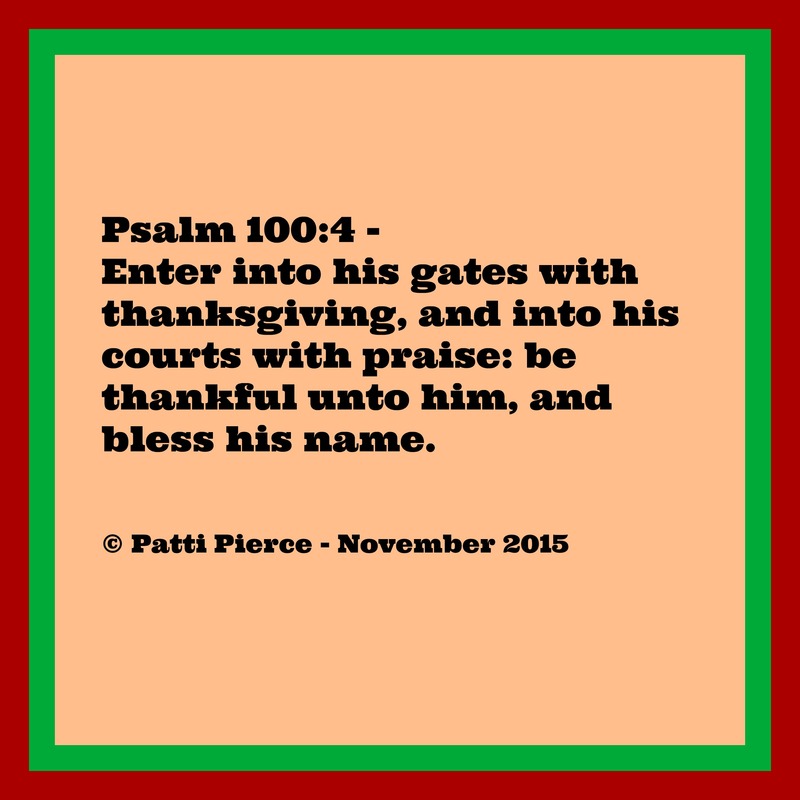 Today I want to look at a Scripture from Psalms. Today is the third day of the #31daystowrite challenge. 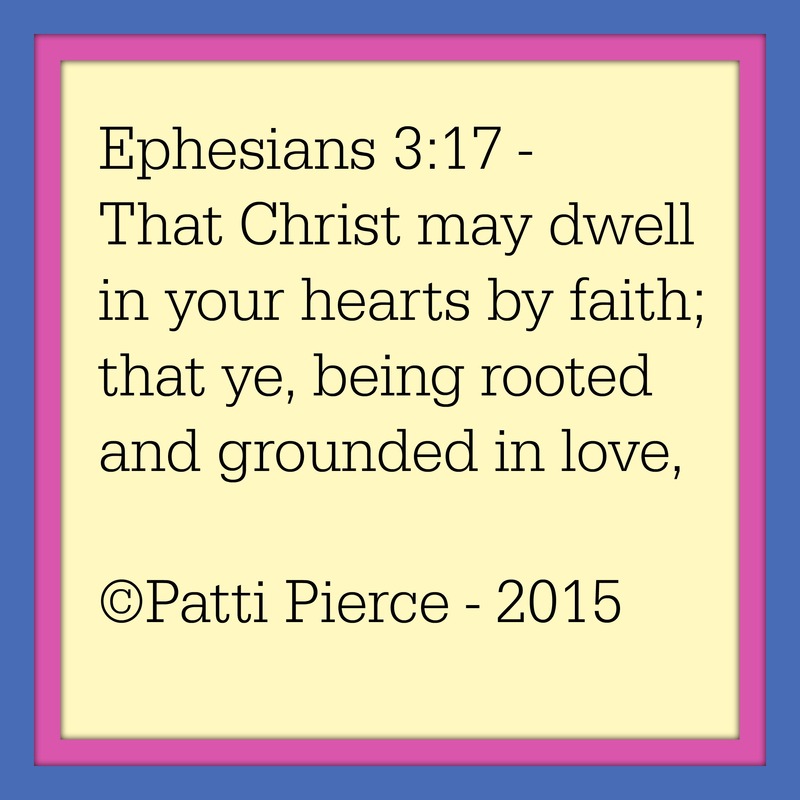 Here is my Scripture of Faith for today. 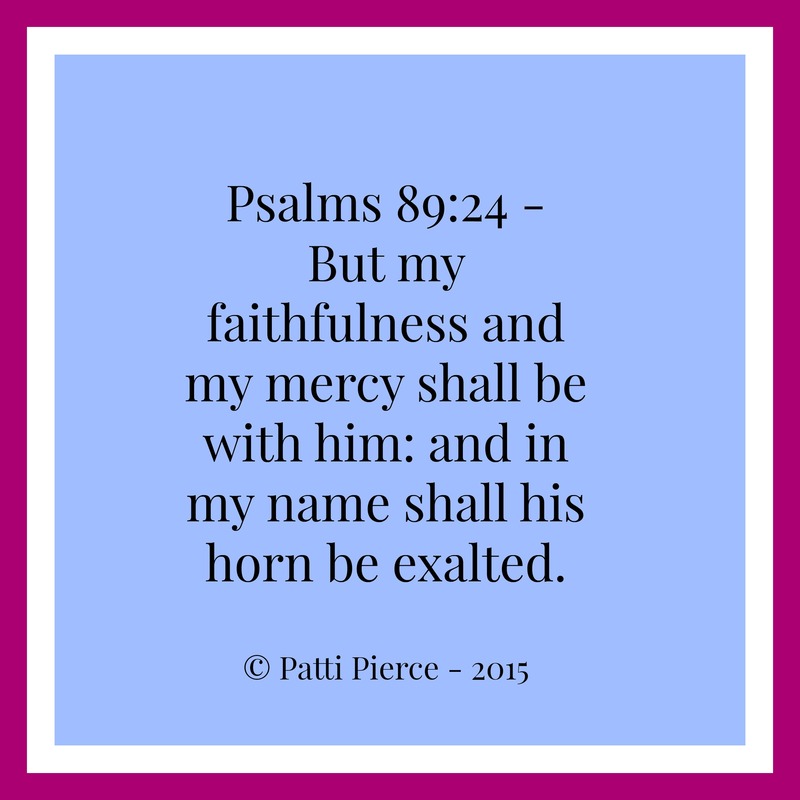 Psalms 89:1 states, “I will sing of the mercies of the Lord for ever: with my mouth will I make known thy faithfulness to all generations.” No matter what we do, God will forgive us as long as we truly repent for what we have done and have a contrite spirit. This means we have to genuinely believe that what we have done is wrong and completely regret what we have done wrong. We have to ask for forgiveness and recognize that we need to sin no more. Does this mean we will never sin, of course not – because the flesh is weak. But it does mean that we need to actively pursue righteous living and to do what is true and correct in God’s eyes. We need to follow the example of Jesus Christ. This means we need to love not only our neighbors, but our enemies as well. We need to focus on showing Christ’s love to those around us. So what Scriptures of faith do you love? What is going on in your corner of the world? I would love to hear from you. 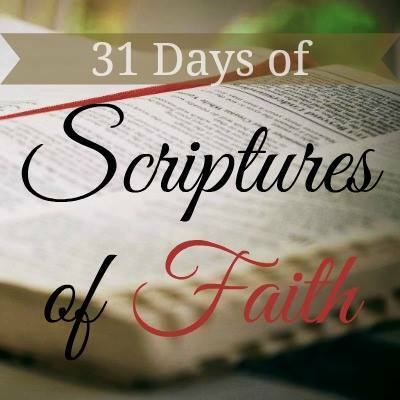 So today is Day 2 of my 31 Days of Scriptures of Faith Series. Today I want to focus on Psalm 31:23, which says, “O love the Lord, all ye saints: for the Lord preserveth the faithful, and plentifully rewardeth the proud doer.” as found in the King James version of the Bible. I personally love the “thees” and “thous” that are found in the King James version. I grew up reading it, so it really is the only Bible I ever knew. The imagery and words in the King James version just flow for me. Of course, I understand that everyone has had their own experiences. The most important or valuable or worthwhile translation is the one that you will actually pick up, dive into and spend time with God. This verse assures us that we need to love our Lord and Savior. “He preserves” – what exactly does that mean? It means that God keeps those who are faithful to Him. We need to keep our focus and thoughts on God and not on the world aroudn us. He then will reward us mightily for those who do according to His purposes.